Setup London Live In Minutes, Demo Content Included and Import Demo Options. 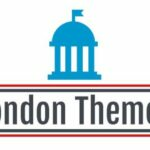 London Live a highly responsive Theme see it in action. Featured Image(Default WordPress Resizer) And Timthumb if you choose. Prettyphoto Shows videos & photo’s. Custom meta options built into post page. Added 7 more skins (Gold, Orange, Lime, Aqua, Cream, Sunset, Charcoal). Improved responsive script for main menu and for both sliders long & short.